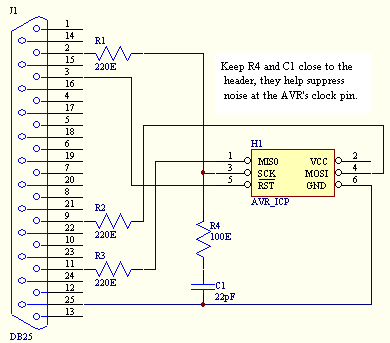 This tutorial provides all the information needed to build your own AVR programmer. An In Circuit Programmer is a very valuable tool. Not only does it allow you to program you AVR's with ease, you can update your program without having to remove the AVR (very use full when working with surface mount devices). Also, an ICP allows you to use one tool to program possibly every AVR available today. This circuit functions well even when a reset circuit consisting of a 10K resistor and a 100nF cap is present. 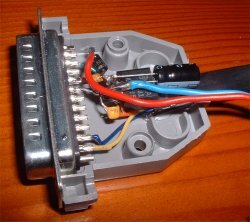 The printer port is directly connected to the AVR, a buffer can be added if you want but we've used this circuit for years without any problems. 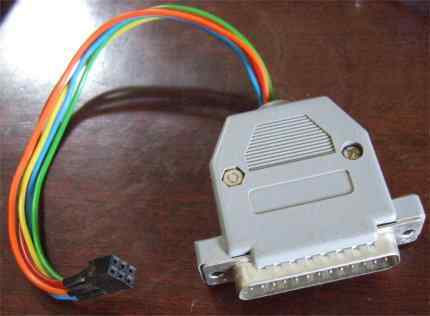 A standard 1 meter long DB25 printer port extension cable can be used to link the programmer to the PC printer port. A stand alone programmer for programming the chips before they go onto the circuit. In practice, the ICP is a much more valuable tool, and any circuit that has ICP capacity can easily be ZIF'ed to become a stand alone programmer, but for those who want one, here is a ZIF stand alone ATMEGA8 programmer. Alternately the PSU can be discarded and a 5V supply can be drawn from a USB port. 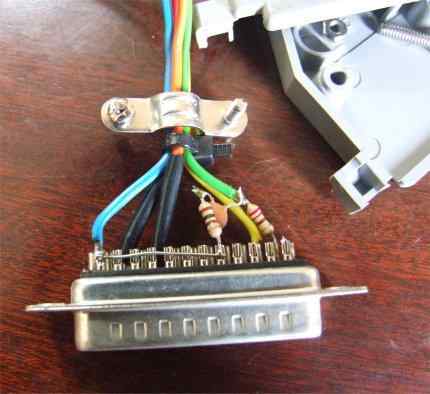 This programmer is built on the back of a ZIF socket.The back of the socket is then covered with a cover piece from some electrical trunking. Notice that C6 and C7 are not installed. The oscillator seems to work fine without it. 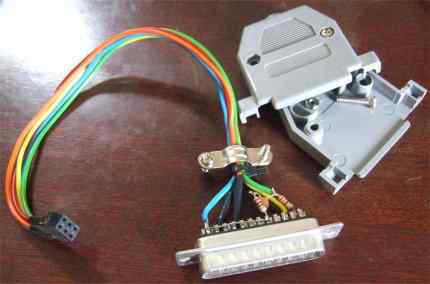 Printer port connector with PSU.